Mention the words ‘tulip’ or ‘garden of Europe’ and one place comes instantly to mind: Holland. Since the peak of so-called ‘tulip mania’ in the mid-1600s, this lowland nation has been inextricably linked to the jaunty Springtime flower. Flower lovers will get more than they could ever expect with a visit to the magnificent Keukenhof Gardens, the undisputed ‘Garden of Europe’, during their cruise aboard our hotel barge Panache. Located in the small town of Lisse just southwest of Amsterdam, these expansive gardens were once the hunting grounds for the Dutch elite, who lived in the adjacent Castle Keukenhof as far back as the 15th century. The modern garden as we know it today did not come into being until 1949. The project was conceived as a place where domestic and international tulip growers could exhibit their specimens to the world market – an important function, as Holland remains the largest exporter of flowers in the world. Today,the world’s largest flower garden park is one of Holland’s most important tourist attractions, welcoming over one million visitors each year. If you’re embarking on a Springtime cruise with us aboard the hotel barge Panache, you are treated to seeing Keukenhof in full bloom. The flowers are at their best between mid-March and mid-May, though of course this can fluctuate depending on the weather. Visiting the Garden of Europe can be a little overwhelming, and it’s not hard to see why. With 80 acres, 800 varieties of tulips, and seven million flowers in total – also including daffodils, crocuses, narcissi, and hyacinths – it’s hard to know where to begin! Some of our favourite parts of Keukenhof include the English-style garden with its winding paths and the historical garden where you can view many old varieties of bulbs. However, no matter where you begin, you’re guaranteed to find colourful, sweet-smelling surprises around every corner. It goes without saying – and don’t forget the camera. What is Luxury Hotel Barging? 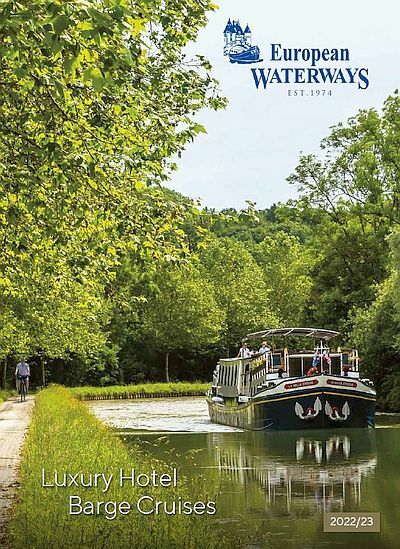 Why choose to cruise with European Waterways? Meet Our World Class Captains!